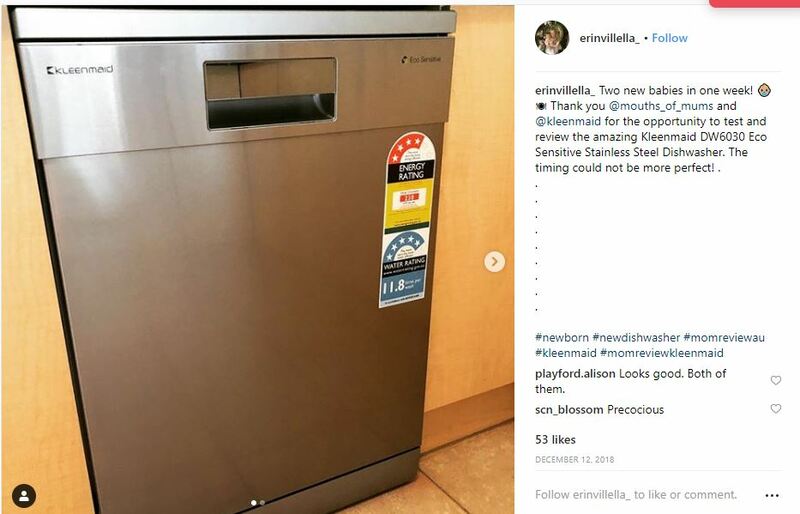 If Looks Could Kill….. Kleenmaid DW6030 Dishwasher Looks SPECTACULAR! 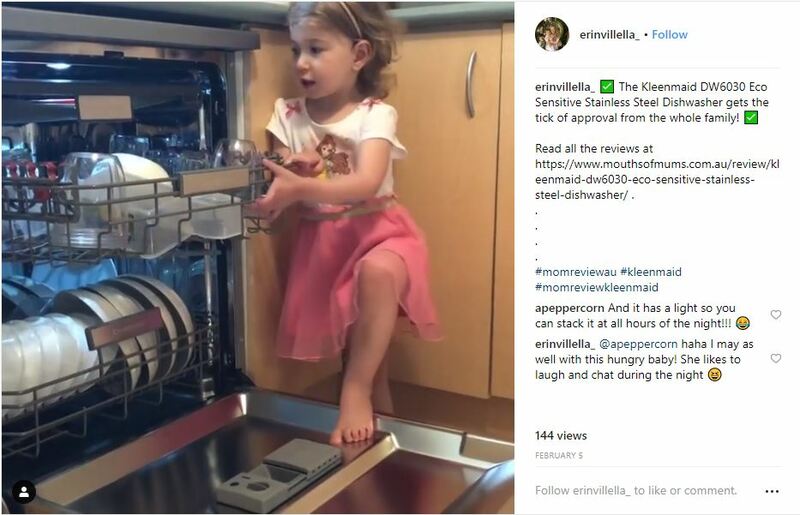 If looks could kill, then the Kleenmaid DW6030 Dishwasher would. It looks spectacular. 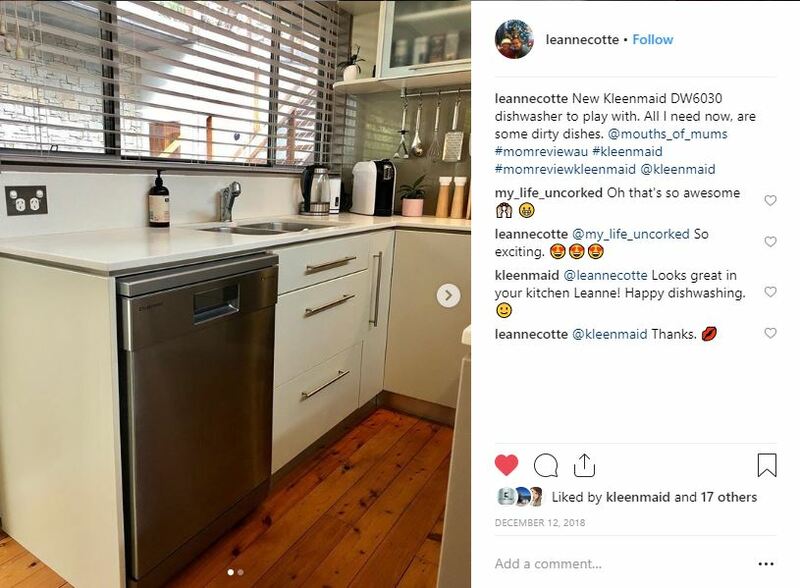 Had the Kleenmaid dishwasher for 24 hours and I’m in love. At first appearance you will see no buttons on the front door. The control panel is tucked away inside the door. This gives the dishwasher a clean appearance. Inside you have a cutlery rack, upper and lower basket. The upper basket can be adjusted to sit high or low. You can lower the upper basket, if you have tall cups in it or make higher if you have larger pots in the lower basket. Packing the dishwasher was tricky, as it was heaps different to my old model. I think in time, I will pack it like a pro. 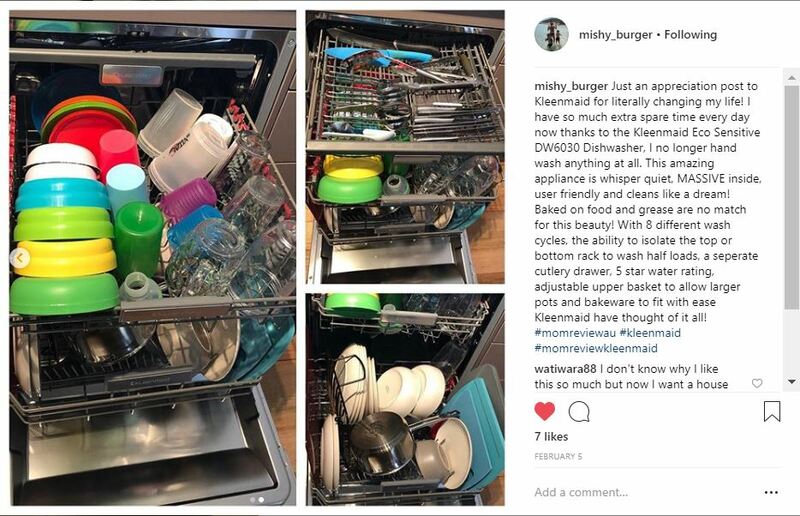 I can’t tell you the last time I was so excited to stack the dishwasher. LOL.. I put a load and selected the AUTO function which runs for 150 minutes. And then the most mind-blowing thing happened…….. It was quiet. My old dishwasher sounded like it was about to take flight. 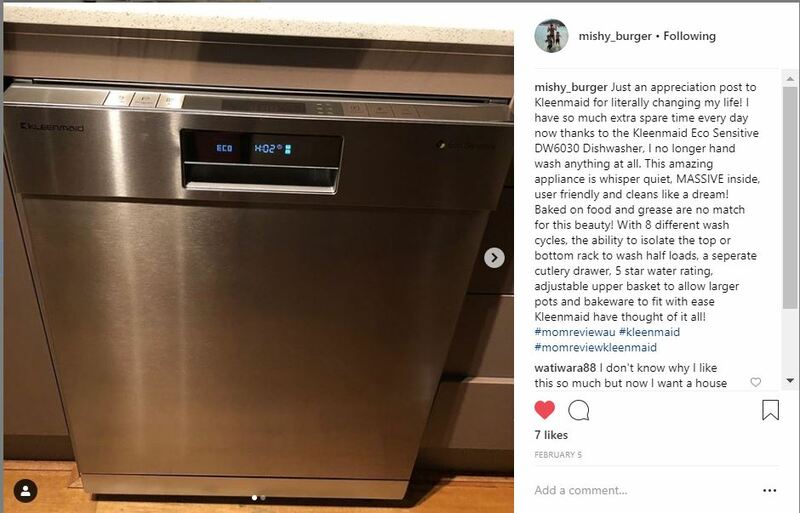 But not the Kleenmaid DW6030 Dishwasher, it was whisper quiet. Once the cycle was done, the dishes came out sparkly clean and streak free. YIPPEE!! 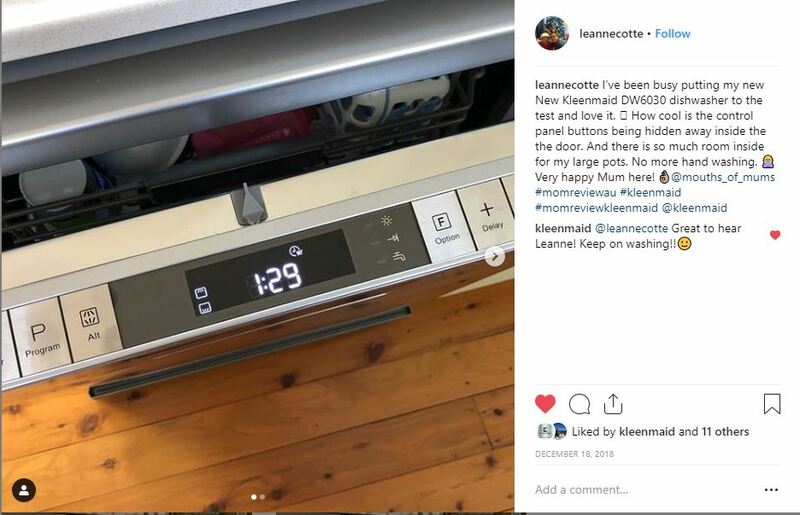 Looking forward to playing more with my Kleenmaid DW6030 Eco Sensitive Stainless Steel Dishwasher and letting you all know.